The monument is located on Kendray Hill, Doncaster Road overlooking where the Oaks Colliery once stood. 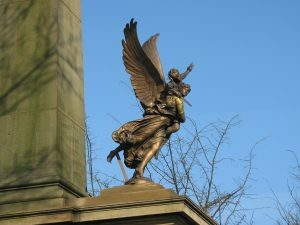 The monument to the rescuers was unveilled on 5 February 1914 and was intended to serve as a reminder to future generations of the bravery of the rescuers. The programme can be read by clicking this link.